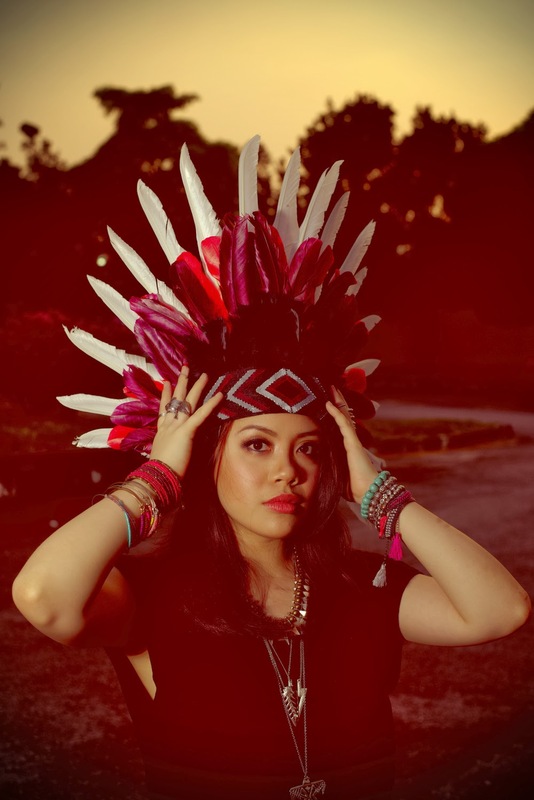 Jillian Undercover: JillianUndercover Headgear X FMFA 2014! I mentioned a little over a while ago that I was mad busy, with several projects lined up this year. In truth, yes, I am busy. But I'm probably spending way too much time playing The Sims on my iPad and burning way too much shopping online. I know, it's a disease! Future Music Festival was THE best party of 2013, period. 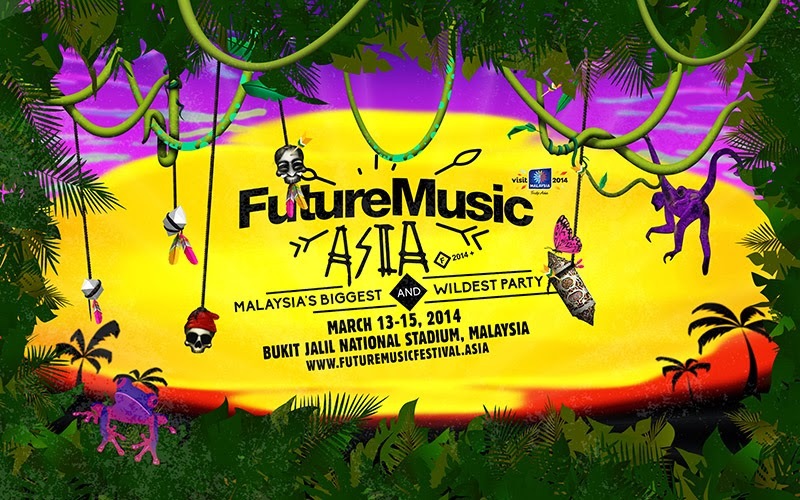 Naturally, the next question is, who's going for FMFA this year?! 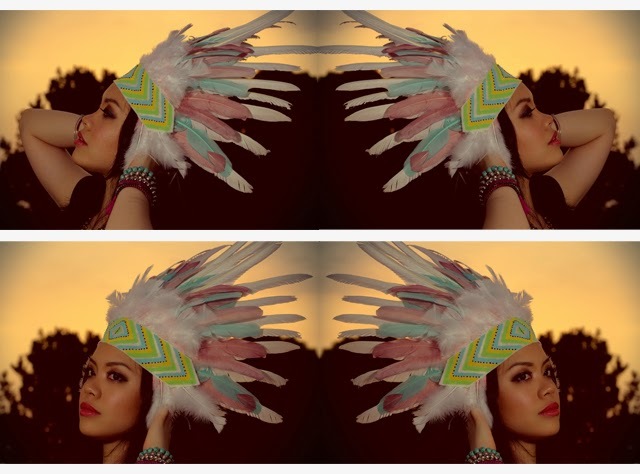 SO as part of my little FMFA project this year, I'll be taking orders for headdresses! Yes, meaning selling them ((: It will be similar, but not quite - trying to keep to the safari/jungle/tropical theme yo. Every piece will be custom made, by yours truly. No two pieces will be the same. So here it is! I present to you, JillianUndercover Headgear X FMFA! 1. Choose the colours you want on your headpiece and email me your particulars (use form below). 2. I will get back to you within 24 hours. I would require a 50% deposit upon confirmation of your order. 3. It is worth noting that I would need 2 - 3 weeks to complete an order. 4. Work on the headpiece will only start upon receipt of deposit. 5. Domestic shipping in Peninsular Malaysia is FREE. Cash On Delivery and International Deliveries are possible. E.g. 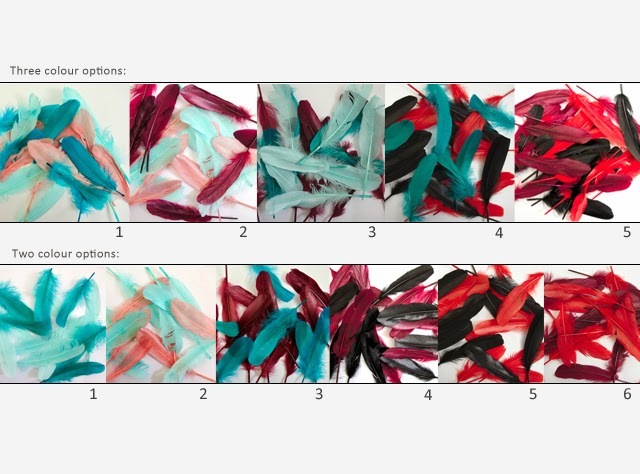 above samples are two coloured headdresses; one in maroon and red and the other in turquoise and dirty pink. My favourites are the lighter colours (on the left) and the reds (right). So boys and girls, what are you waiting for? For orders to be ready in time for FMFA, please place your orders in the next week! The icing on the cake? You will blow everyone's mind away because headpieces makes all selfies photos look good, almost 100% of the time. 1. 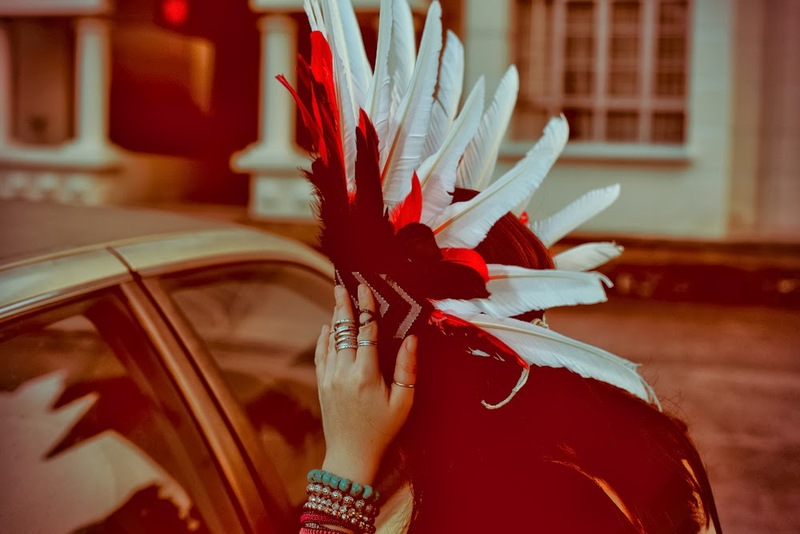 The headdresses are handmade, which means that there WILL be imperfections. 2. I will be using natural feathers, which also mean that there will be imperfections too. 3. Head over to my Flickr HERE, for more pictures. 4. Email to jillianundercover@gmail.com for further inquiries. CAN'T. WAIT. FOR. FMFA. THIS. YEAR!! Hi there, for some reason I couldn't post on your original DIY post for these. I was just wondering if you could tell me where the string is tied when you are wearing the piece? I assume it's around the back of the head? Sorry about that, I will look into the reason behind you being unable to post a comment on the other post. Yeap, the string is tied around the back of your had, similar like how you would wear a mask. But really, as long as it sits securely where you want it to be, it doesn't matter where you tie it - back of your head, at the bottom near your neck etc. Можно узнать цену головного убора?